Welcome to the CORKA Trial website. 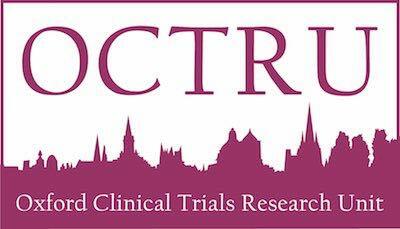 As a potential participant you can find out information about the trial and how to take part. As a participating site you can see the latest news, Recruitment figures and download trial documents and CRFs. The CORKA study was developed in response to a commissioned call by the National Institute for Health Research (NIHR) Health Technology Assessment (HTA) programme for research into a functional home based rehabilitation programme for patients who may be at risk of poor outcome after knee replacement. Participants will be randomised to one of two arms, ‘home-based rehabilitation’ or ‘Usual Care’. Those in the usual care arm will receive a minimum of 1 and a maximum of 6 sessions of physiotherapy as delivered locally, e.g. class, one to one, etc. Those in the intervention arm will receive 7 sessions of a functional rehabilitation programme over a 12 week timescale. The intervention will be delivered using physiotherapists and physiotherapy assistants in the participants’ home. Participants will be followed up at 6 months and 12 months. To compare the patient reported functional outcome and quality of life of the CORKA trial rehabilitation protocol versus standard care in participants at risk of poor outcome after knee replacement. The Target of 620 has been reached. Well done to all of the sites for their participation and thank you for helping us to reach the target. CONGRATULATIONS to the Teams of Dorset Healthcare and Dorset County Hospital for recently winning an Outstanding Achievement Award at the CRN Wessex Awards Ceremony for successfully working in collaboration on the CORKA Trial. This is a great achievement, well done.